Mix in a mixer or food processor orange liqueur, honey and strawberries for a while until you have a smooth and homogeneous liquid. Take the glasses, previously cooled, and serve the strawberry mixture to half in each one. Fill the other half with cold champagne or sparkling wine and enjoy! Just take the 4 cold ingredients and mix until dissolved each other. Note that this is a very strong drink and you should be careful with it. Vodka is the strongest of the spirits and to mix it with a little champagne can be disastrous for some if you do not have any precaution. Place in a mixer or shaker the apple juice, the cognac, the syrup, the apple slices and the ice needed. Shake well until you get a homogeneous mixture. 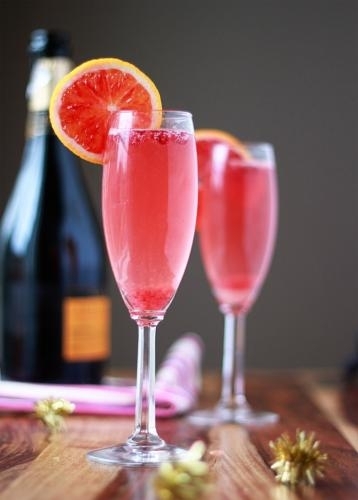 Take a pre-cooled glass, serve the mixture and add the cold champagne to enjoy. You can also prepare a nonalcoholic version of this drink: just suppress cognac for pear juice and champagne for nonalcoholic cider. 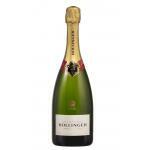 Bollinger Spécial Cuvée Brut: a sparkling wine from Champagne based on pinot noir, pinot meunier and chardonnay and has an alcoholic strength of 12%. Dishes like white meat and seafood make for an ideal match for the Bollinger Spécial Cuvée Brut. 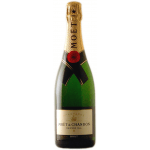 Moët & Chandon Brut Impérial: a sparkling wine from Champagne that is based on pinot noir, pinot meunier and chardonnay grapes and has an alcoholic strength of 12,5%.